One of the trolleys rolling down the line in May 2016. The MBTA’s high-speed trolley line connecting Mattapan to the Red Line in Ashmont is out of service for the foreseeable future because of “propulsion problems,’’ one of the issues the T promised to spend millions of dollars to fix. 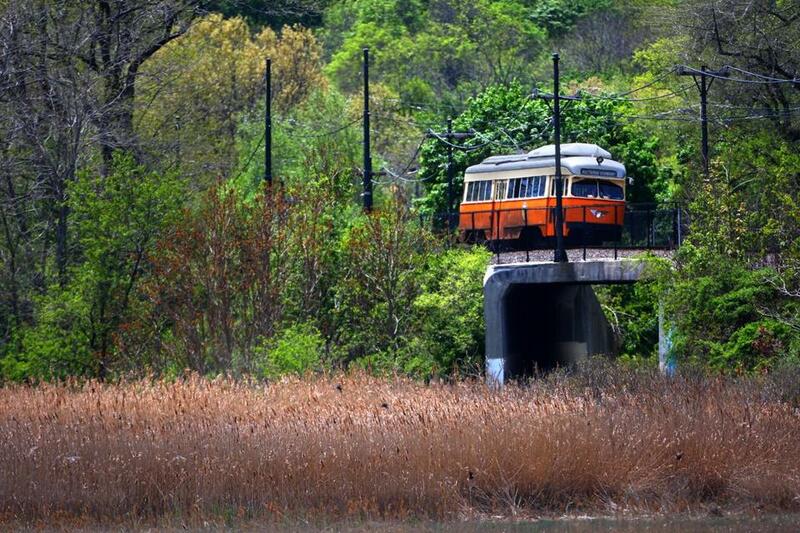 The trolleys — four are currently used daily on the 2.6-mile line that loops through Dorchester, Milton, and Mattapan — are some 70 years old and off-the-shelf parts are no longer available, MBTA spokesman Joseph Pesaturo said. Since 7 a.m. Tuesday, three of the four cars have been disabled by the propulsion problems, which will not be quickly repaired, Pesaturo wrote in an e-mail. The MBTA is instead running shuttle buses along the trolley route. “The trolley car is not generating enough power to operate in a reliable manner,” Pesaturo said. He did not elaborate further on the problem. “Because of their age, the 70-year-old cars require constant repair and replacement of parts that are no longer available on the market, and must be manufactured by MBTA machinists,” he said. Last February, the MBTA pledged $7.9 million to overhaul the trolley cars and keep them in service until at least the early 2020s. In December, a crash attributed to an operator error injured 17 people on the line when two trolleys collided. Since then, the line has been operating with four trolleys instead of five, Pesaturo said.